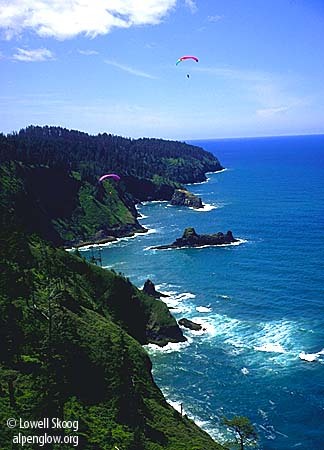 Cape Lookout is a penninsula that juts two miles into the Pacific Ocean and is an Oregon state park. The northwest flank of the cape catches soarable winds when a high pressure system builds off the coast. Trails lead to the end of the cape, a popular whale watching spot.